Everyone needs one of these *BEST PRICE* Bill Tracker &amp; 411 Journal™ ONLY $12.99 Shipped. 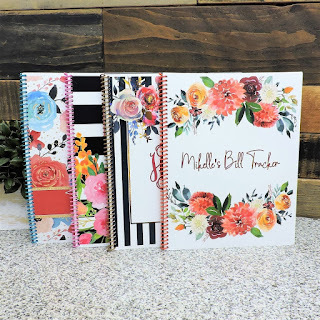 These are perfect to keep all valuable and important information handy from doctor information &amp; appointment logs to monthly &amp; yearly budget record keeping. These are custom with matching color coils; we have 40 trendy hues to make your notebook look even more adorable. (Most only offer in black or white coils). We will select coil color to match the design selected.